Crash Team Racing, the PlayStation 1's answer to Mario Kart, is coming back in 2019, Activision announced at The Game Awards this evening. 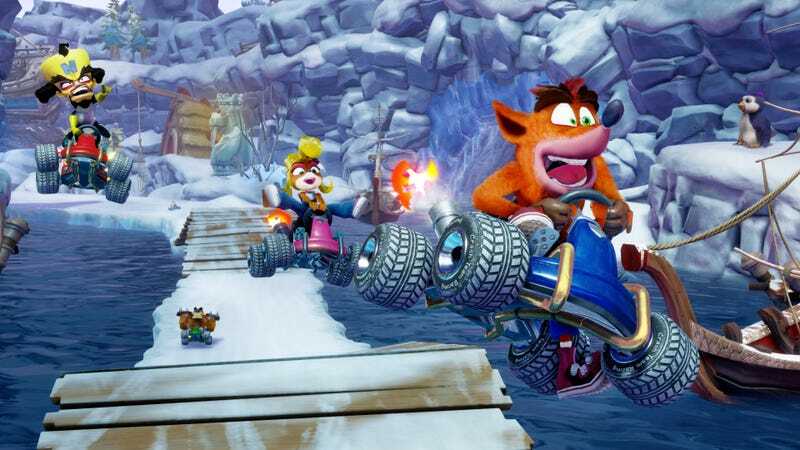 In development at the studio Beenox, which created the racing portion of 2015's Skylanders Superchargers, Crash Team Racing Nitro-Fueled is a “built from the ground up” remake of Naughty Dog’s 1999 kart racing game. It’ll be out June 21, 2019 for PlayStation 4, Switch, and Xbox One.